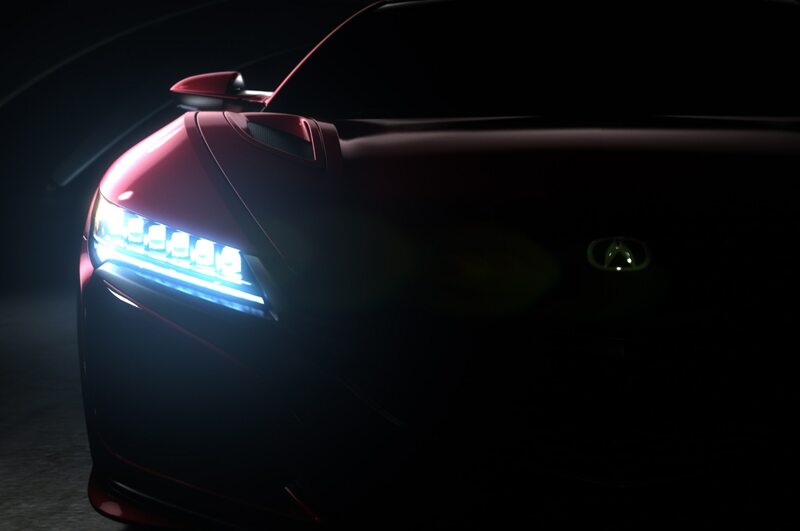 Production-ready flagship supercar finally ready for the world to see. 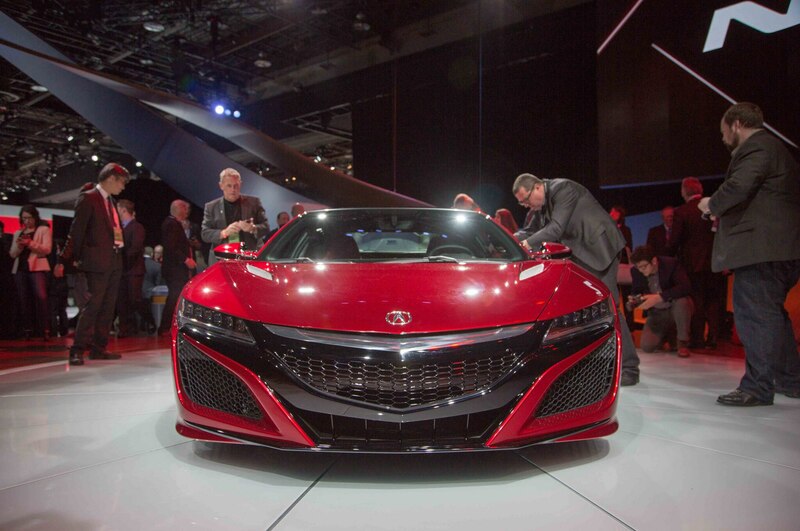 For more on all things NSX, be sure to check out our complete story on the car, with more photos and details. 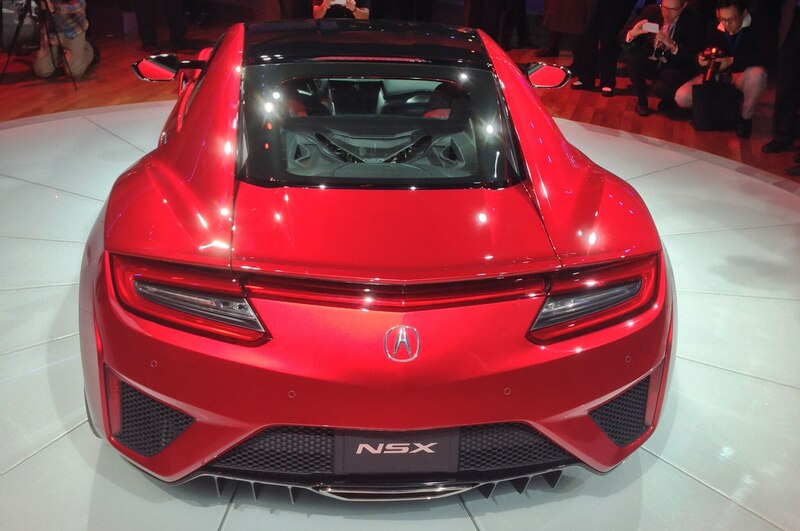 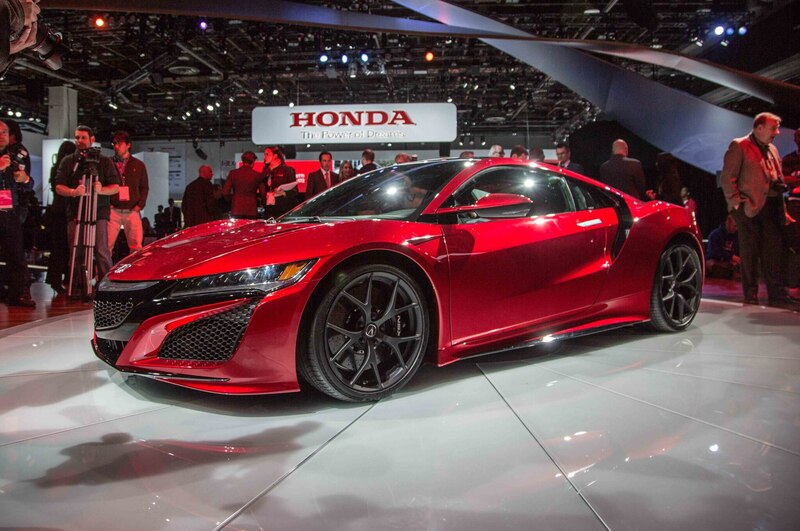 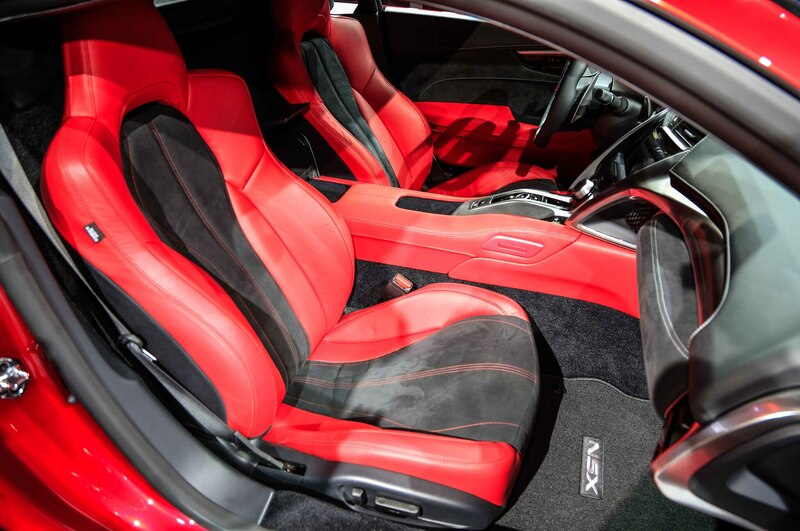 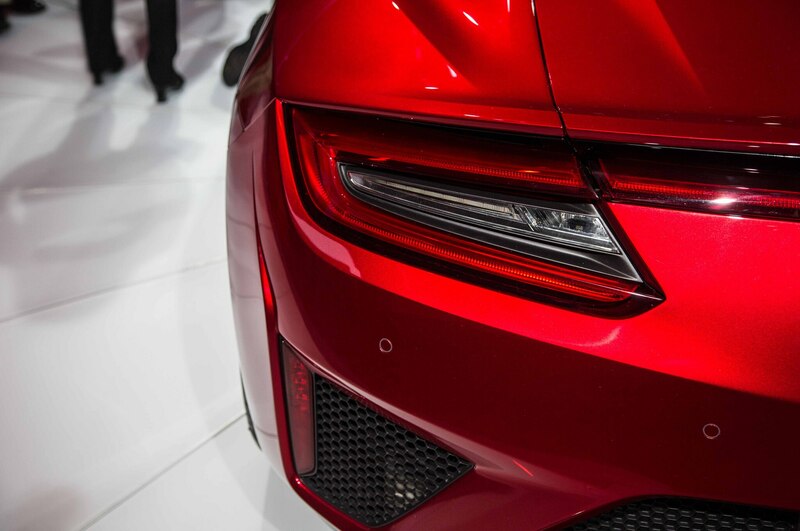 At an event the night before the official press reveal of the all-new 2016 Acura NSX at the 2015 Detroit auto show, you could sense the excitement coursing through the Acura team. 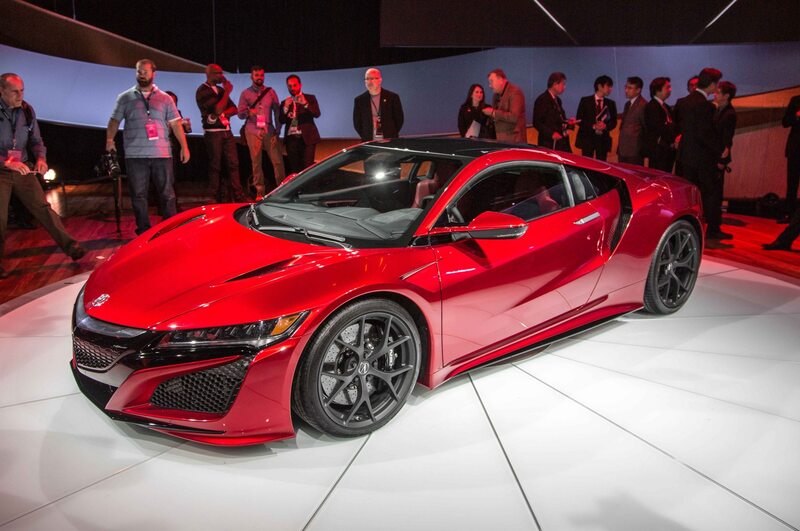 Finally, the production version of Acura’s all-new flagship supercar was ready for the world to see, and they were giddier than little kids at Christmas. 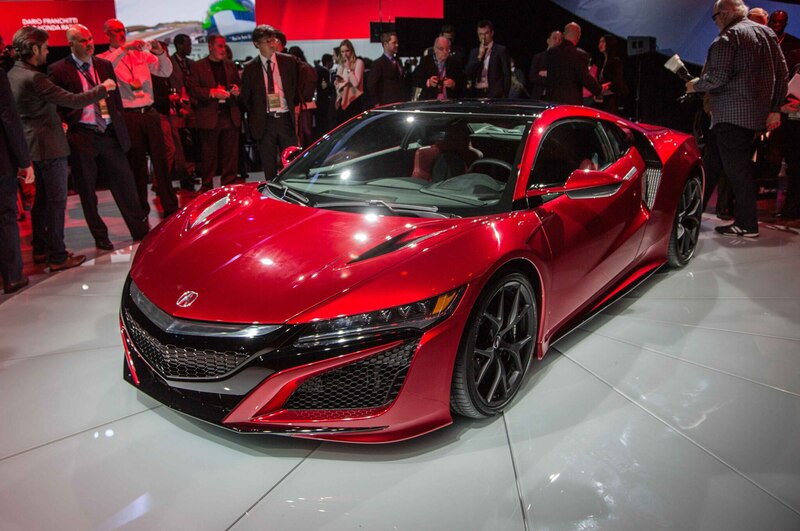 And judging by the massive crowd at its press conference today, the rest of the world is just as geeked to find out more about what the all-new, hybrid-infused NSX, a reboot of the car that first set the world on fire some 25 years ago, is all about. 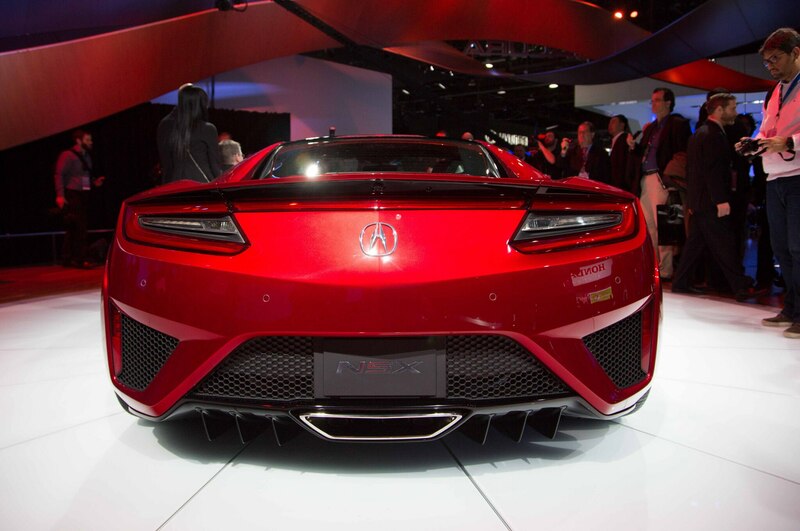 At the conference, Acura said the car is yet another signal of the brand’s U.S. roots, and given that it is built, designed, and engineered in the U.S. in an all-new plant, that couldn’t be more true. 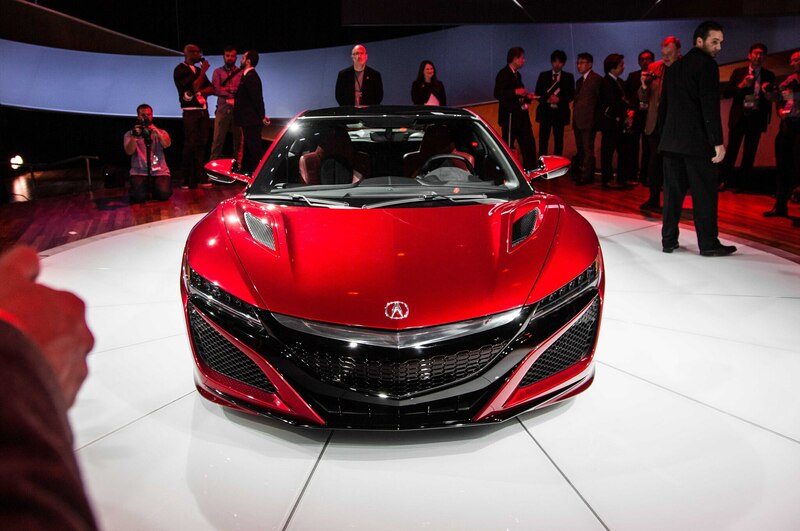 Orders begin in the summer with deliveries late this year and the car will cost around $150,000. 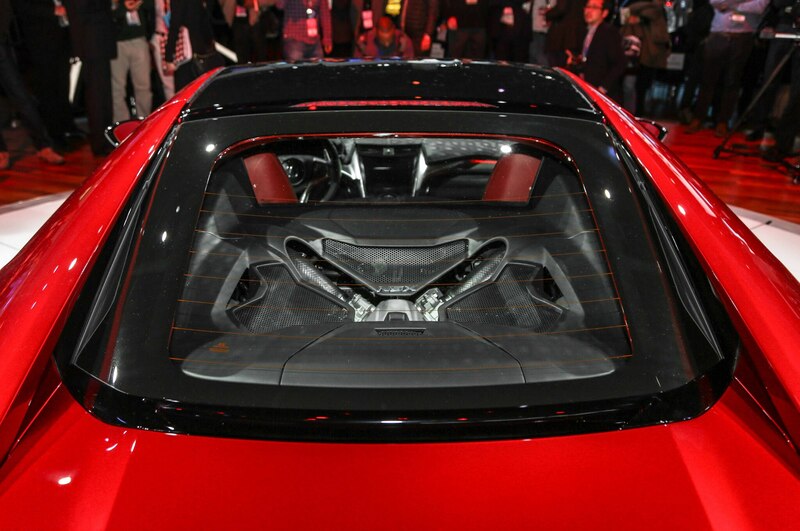 It looks like Jerry Seinfeld, who was in attendance, may get the jump on Jay Leno for car No 1. 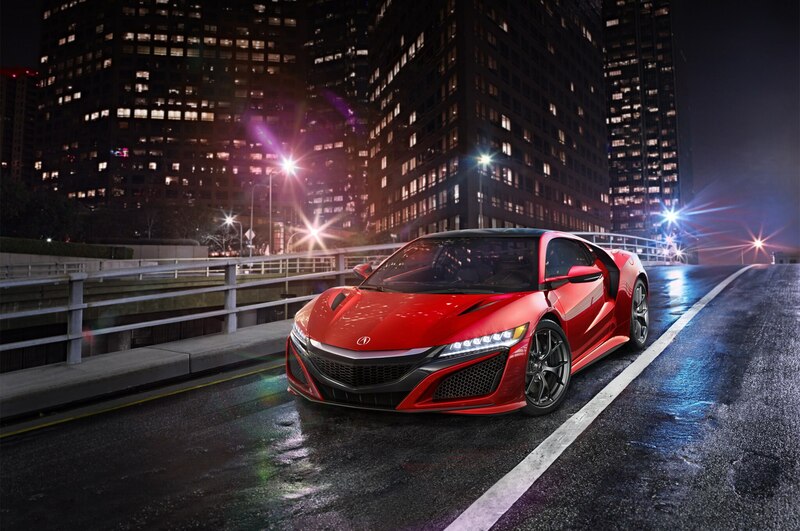 While there are still some details not sorted around the new NSX, what we know so far is that the production car will be powered by a mid-mounted, 75-degree 3.5-liter twin-turbo V-6 mated to a nine-speed dual-clutch transmission with a version of the brand’s Super-Handling All-Wheel drive helping put the power down. 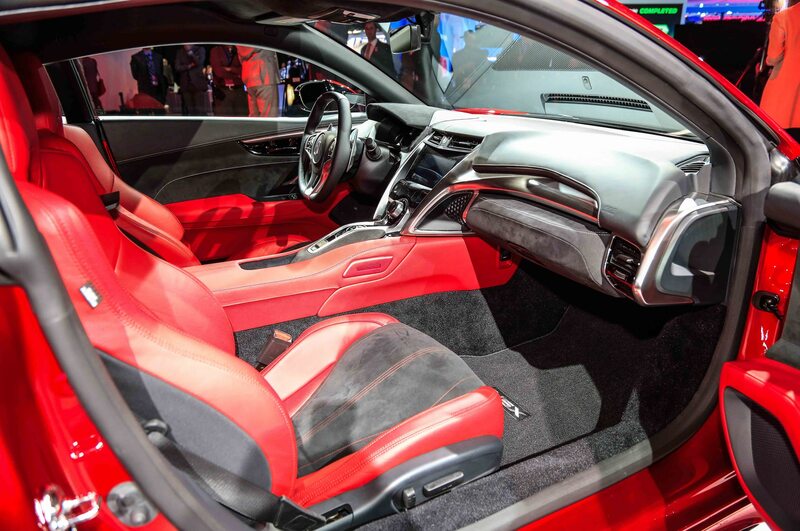 In addition to the gas engine, a rear direct drive electric motor between the engine and transmission acts as an acceleration booster, and also aids braking and transmission shifting. 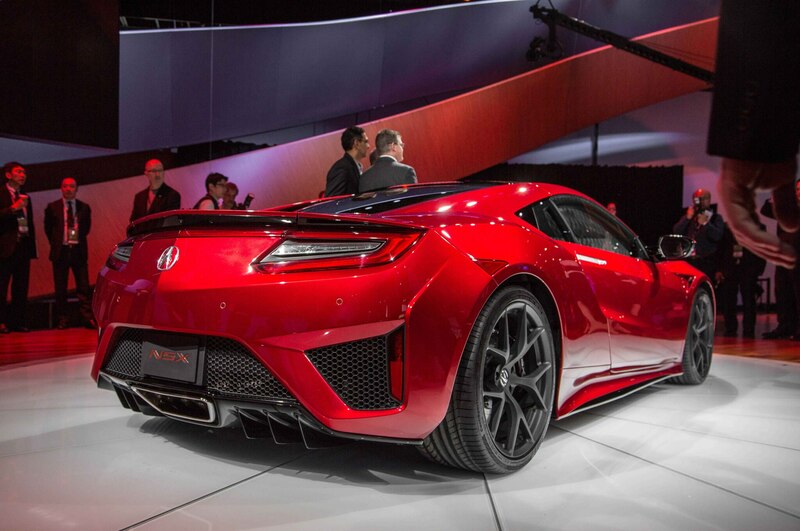 Total output is said to be above 550 horsepower. 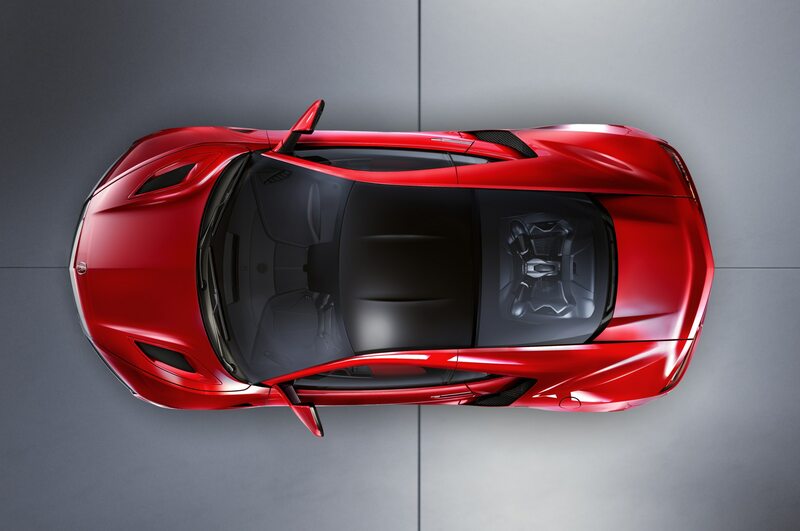 At the front wheels, twin independent electric motors provide torque vectoring to further aid handling, help to launch the car more quickly, and aid in braking. 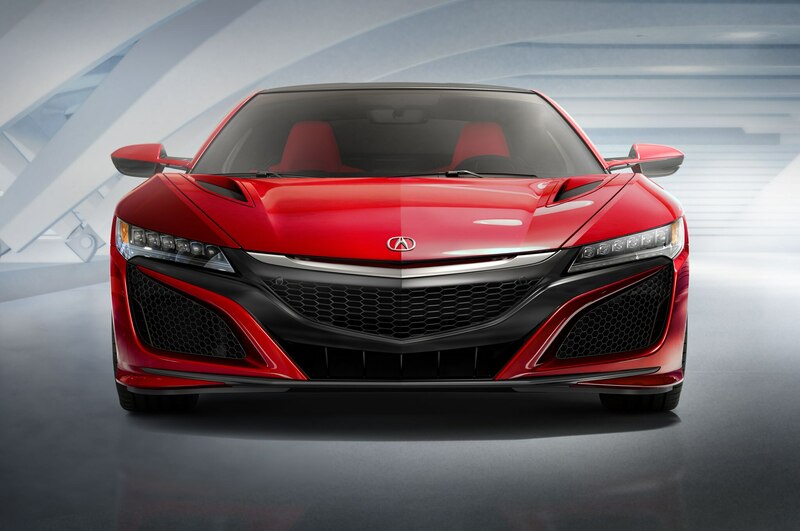 The NSX rides on a fully independent, all-aluminum front and rear suspension, and the car features four distinct drive modes that modulate and launch control. 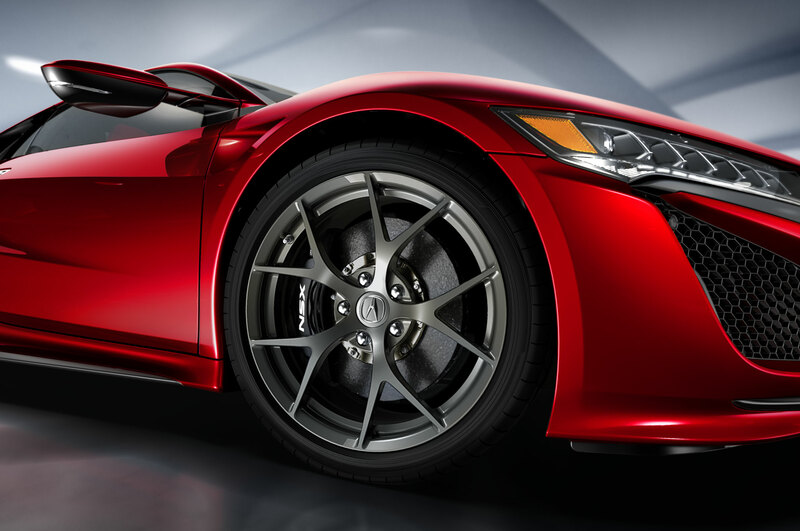 Tires are ContiSportContacts (245/35Z R19 front and 295/30Z R20 rear) mounted on 19 x 8.5-inch front, 20 x 11-inch inch rear aluminum alloy wheels. 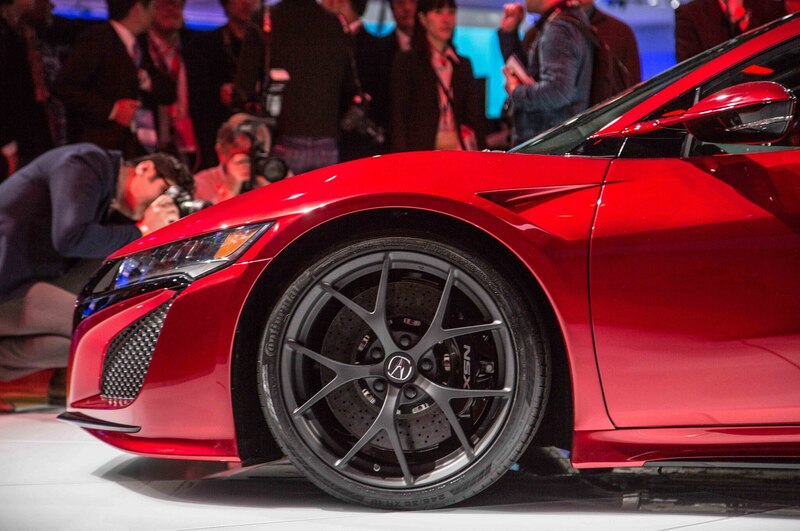 Six-piston front, 4-piston rear monoblock calipers will clamp down on carbon-ceramic brakes. 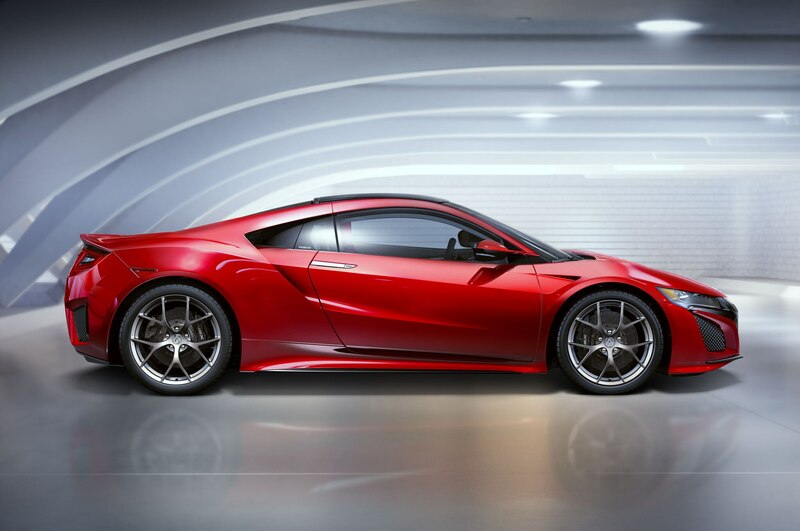 In an effort to get the longitudinally mounted engine to fit better, the production version of the NSX was lengthened over the 2012 concept by 3 inches (the wheelbase is 0.7-inch longer), and the car is also widened by an inch. 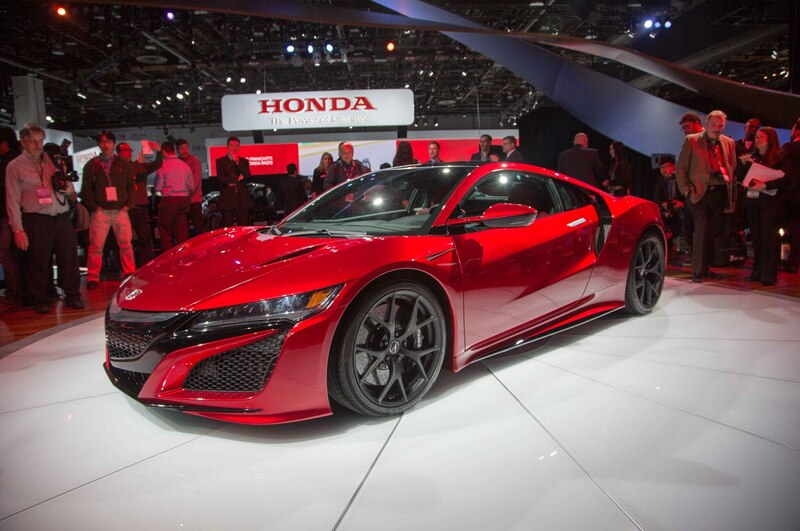 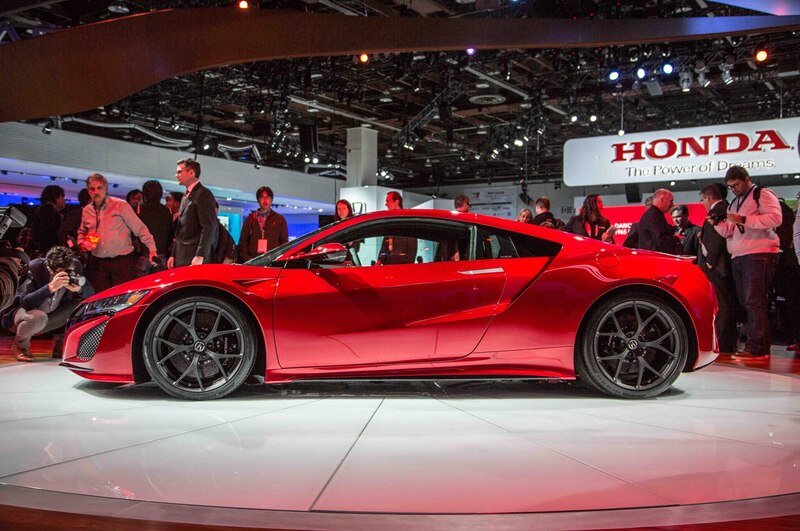 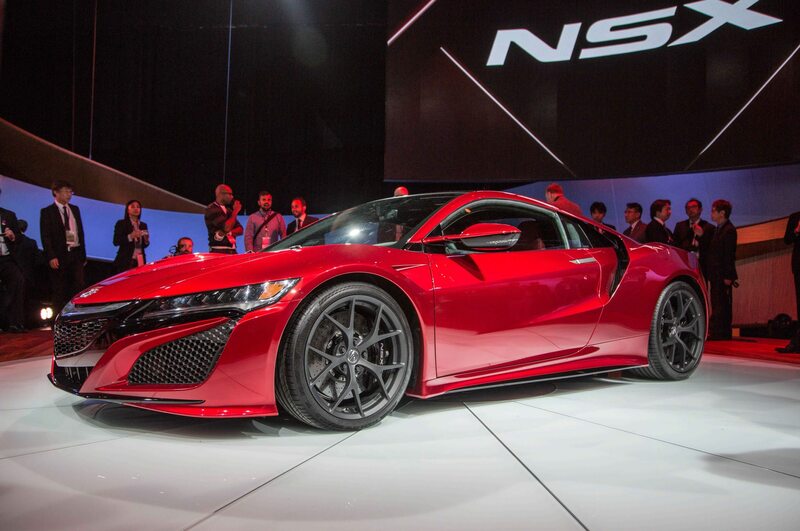 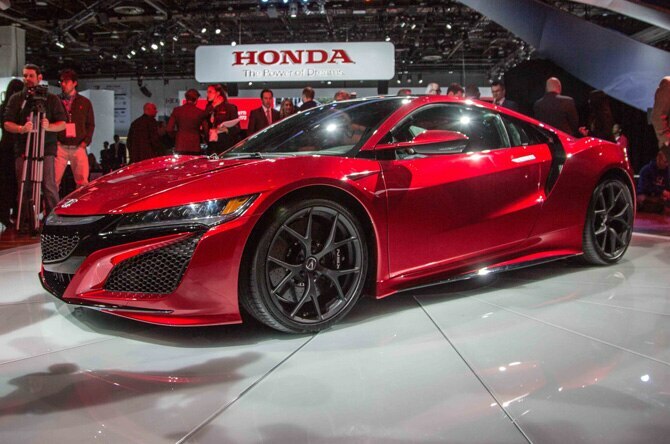 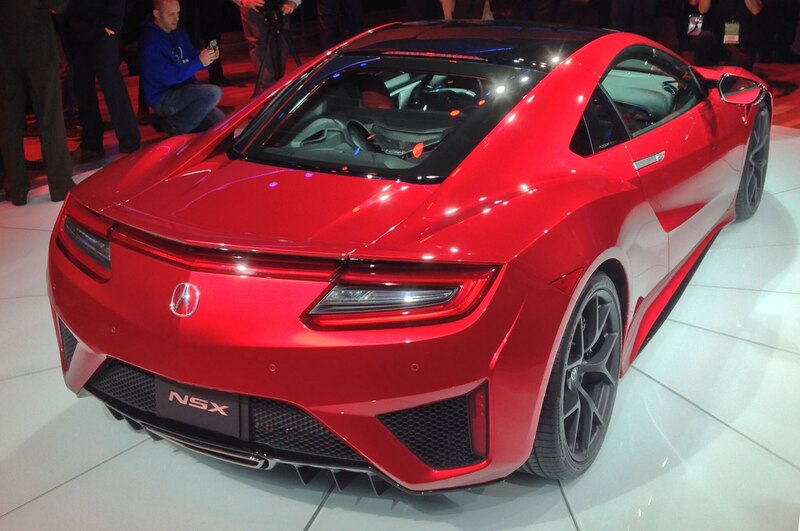 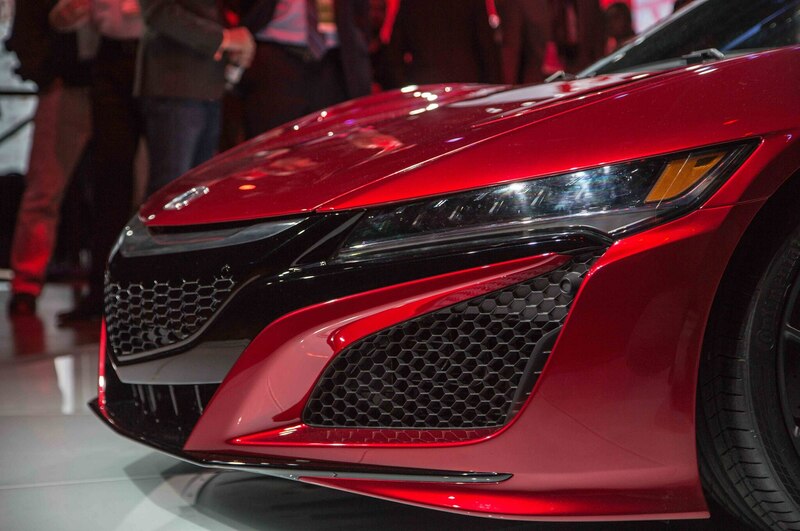 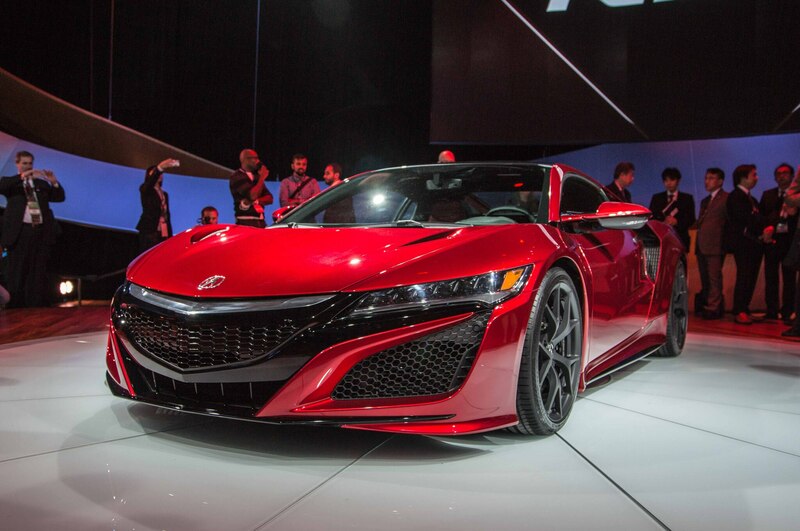 On the outside, the new NSX is far more aggressive than the concept. 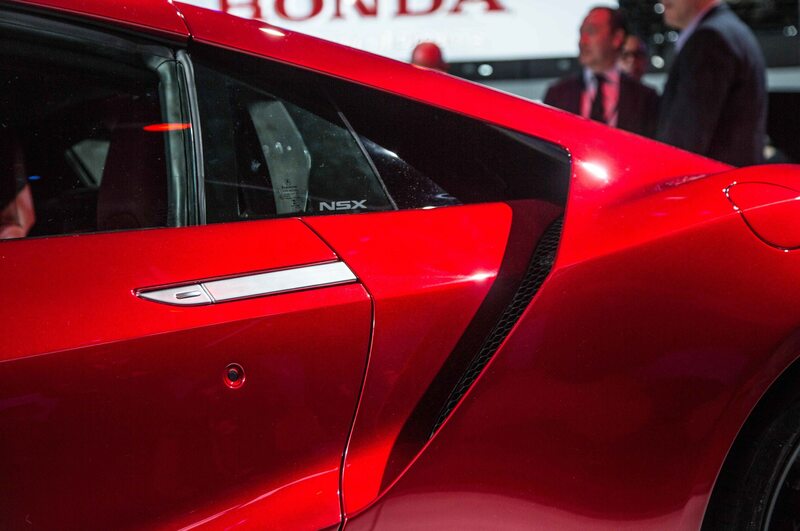 At the front, the gaping intakes look mean and aid with cooling. 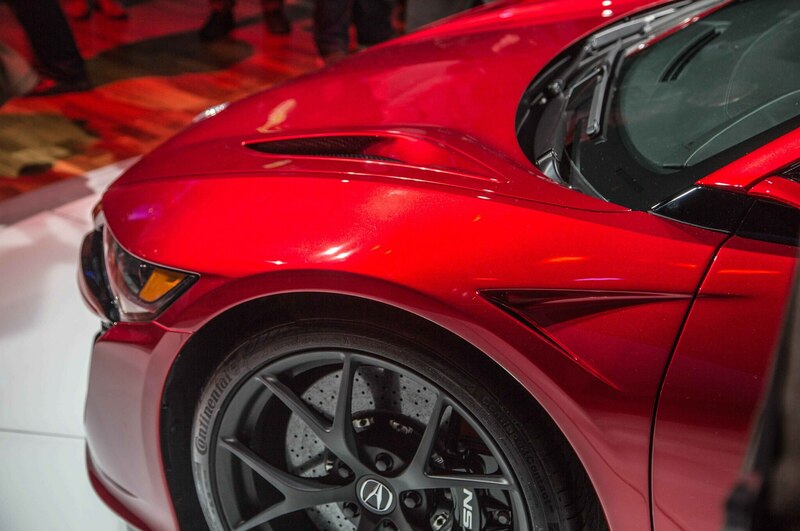 One the sweetest bits of the exterior design are the floating C-pillars that feed the engine and help direct airflow over the rear deck. 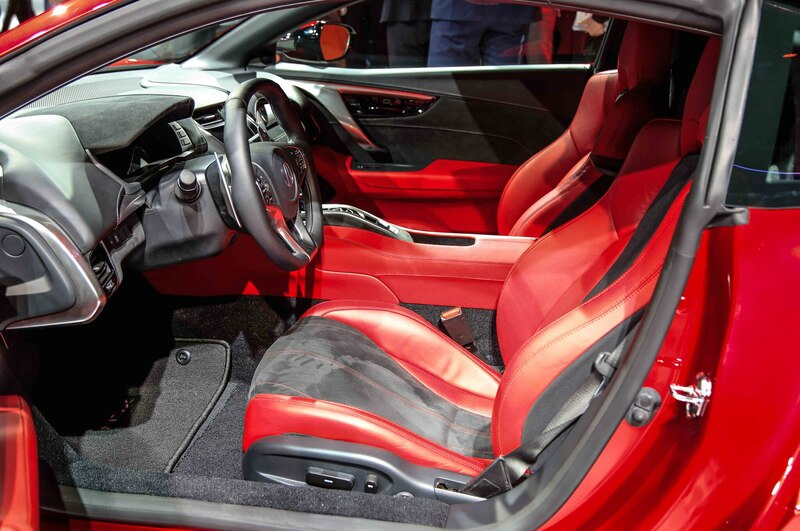 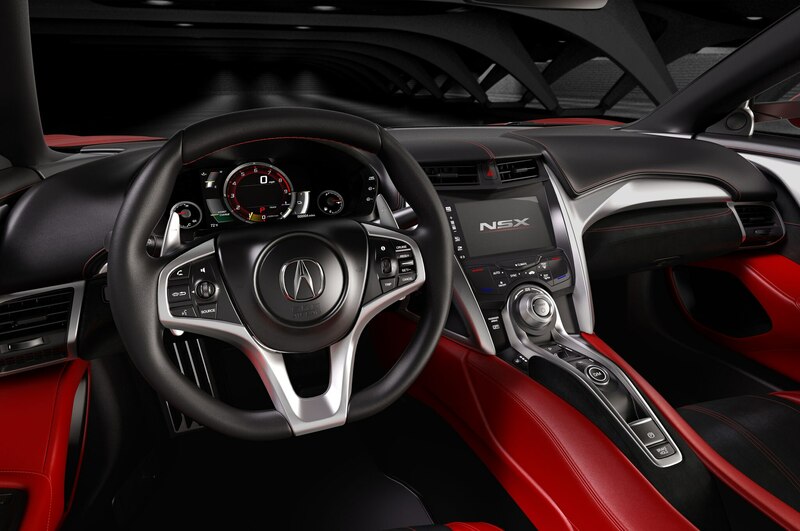 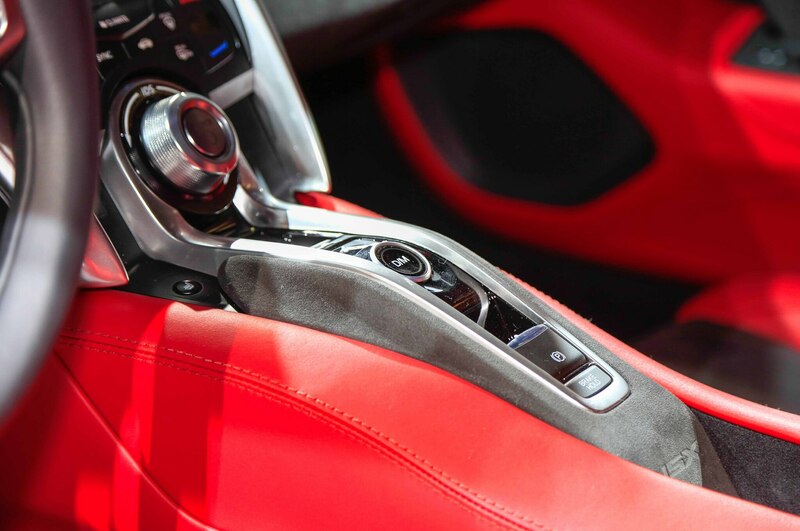 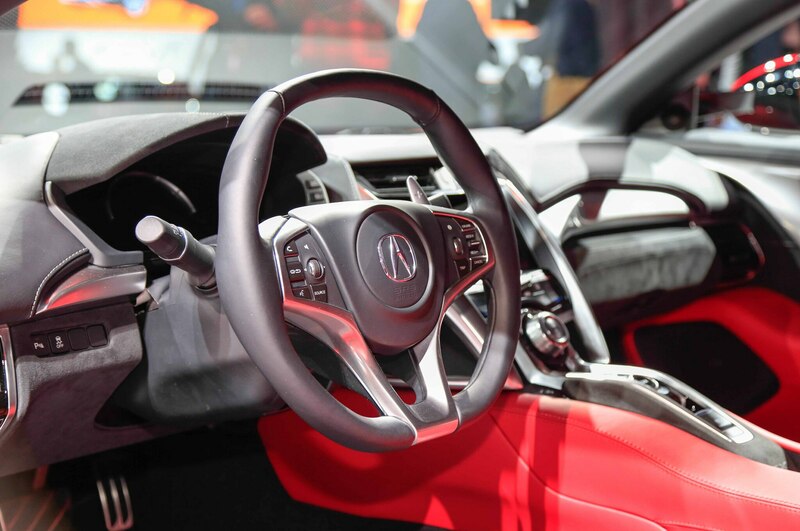 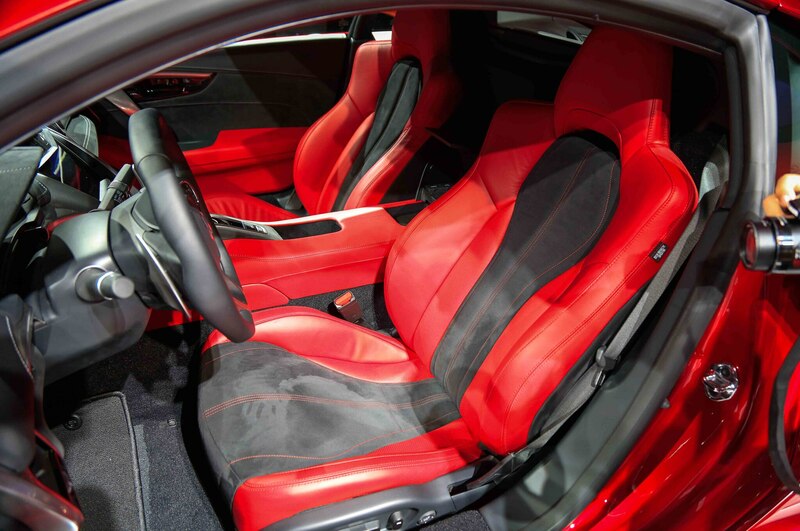 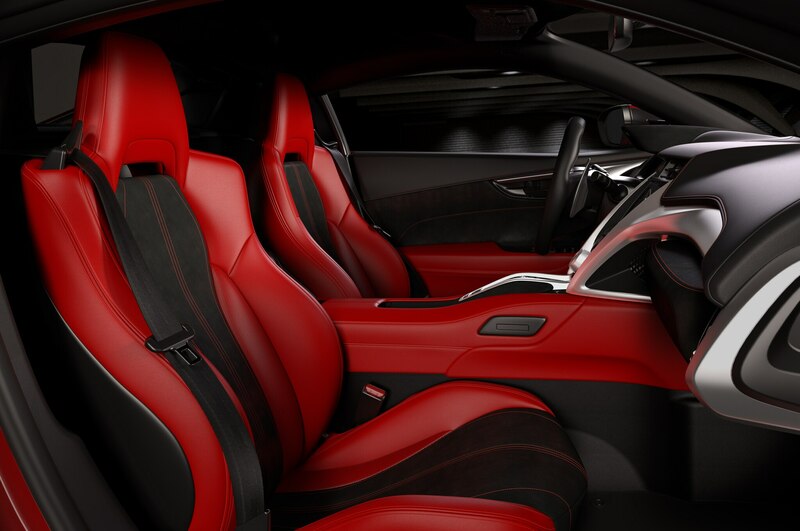 Inside, the 2016 Acura NSX is squarely driver focused and refreshingly simple in its overall execution. 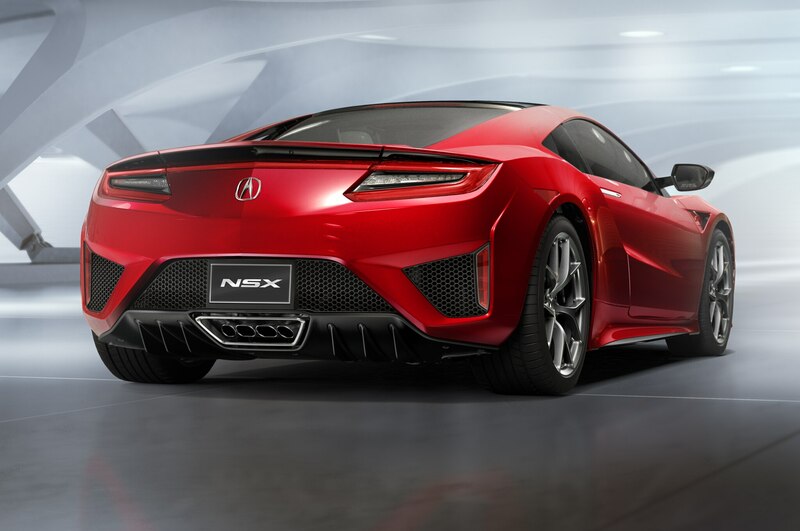 Look for concrete pricing and performance figures later this year as we approach the 2016 Acura NSX supercar’s on-sale date.